The blanket of morning mist still lay on the lake as we paddled silently through the still waters of Algonquin Park, Ontario. 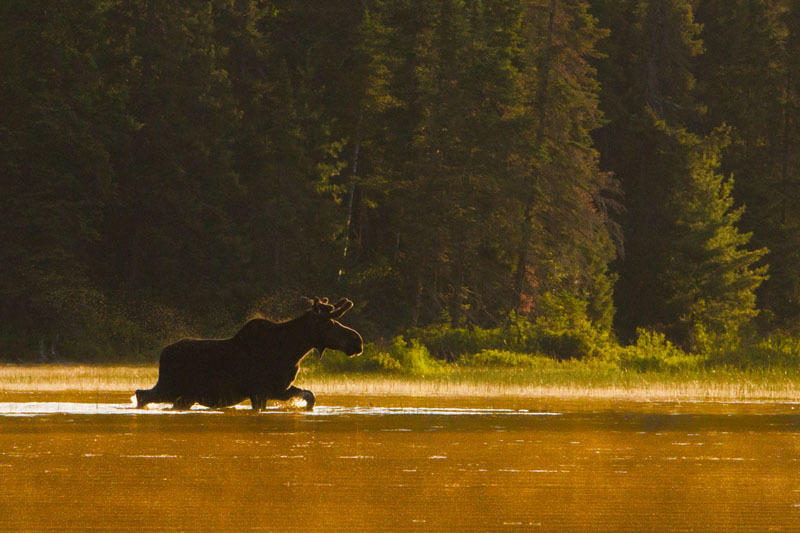 We had left camp at dawn on our photography safari in search of one of Canada’s largest mammals – the Algonquin moose. 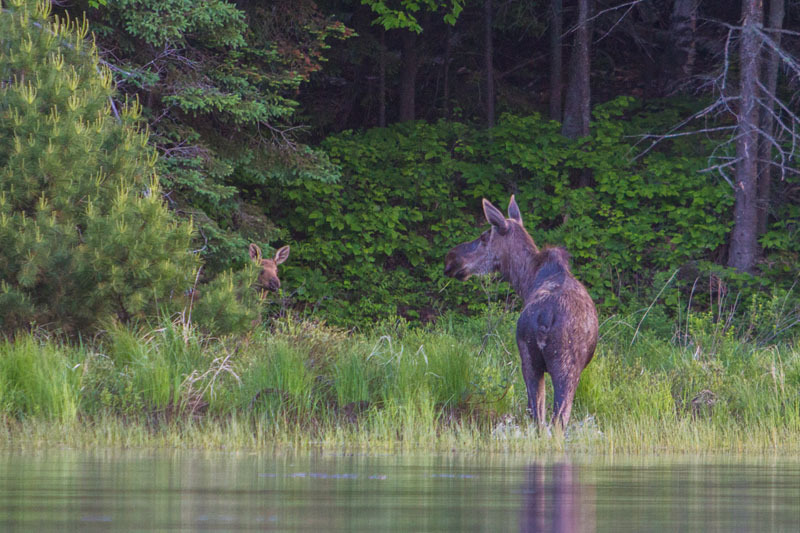 Algonquin Park is one of the best places in the world to spot moose. In early the mornings and late afternoons of late spring, you will see plenty standing on the shores of lakes and swampy marshlands gnawing on twigs and lily pads. 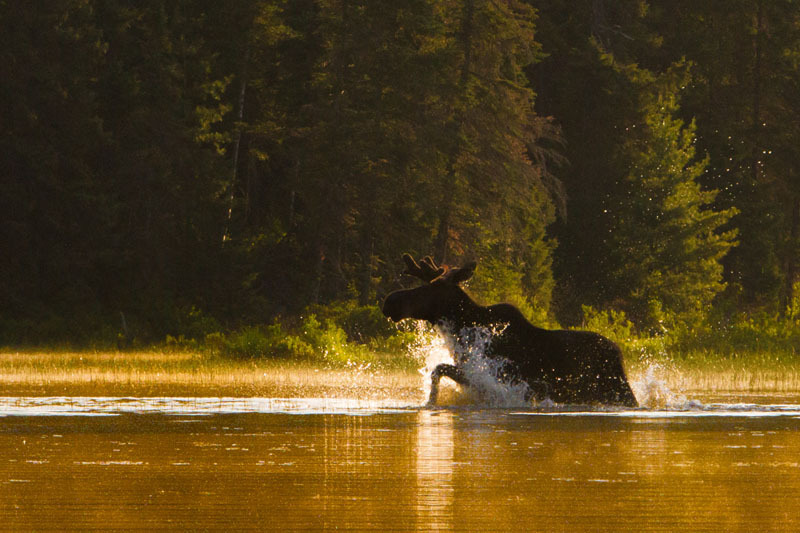 If you know where to look, you'll encounter bull moose, cows, and calves standing in shallow waters trying to escape the swarm of black flies and mosquitoes following their every turn in the dense forest. 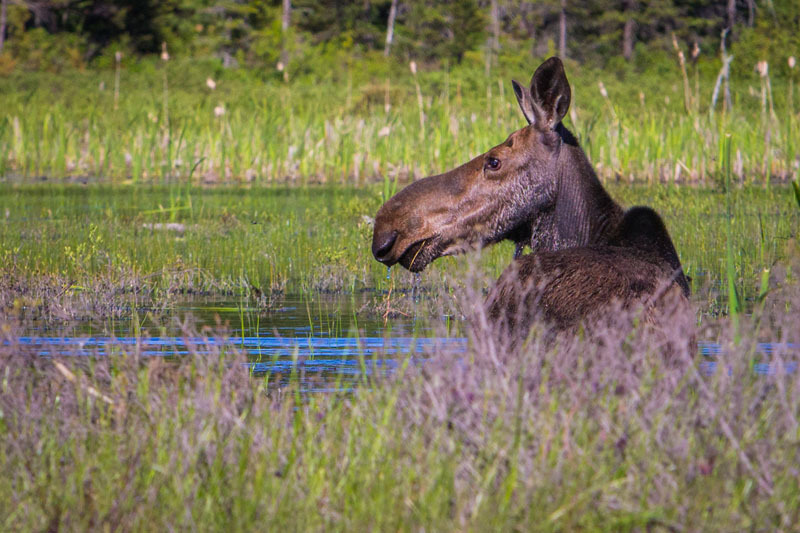 Sure you can spot Algonquin moose standing on the side of the road as you drive along Highway 60, but to see them in their natural habitat in the middle of the massive 7650 km2 park is an experience you'll never forget. 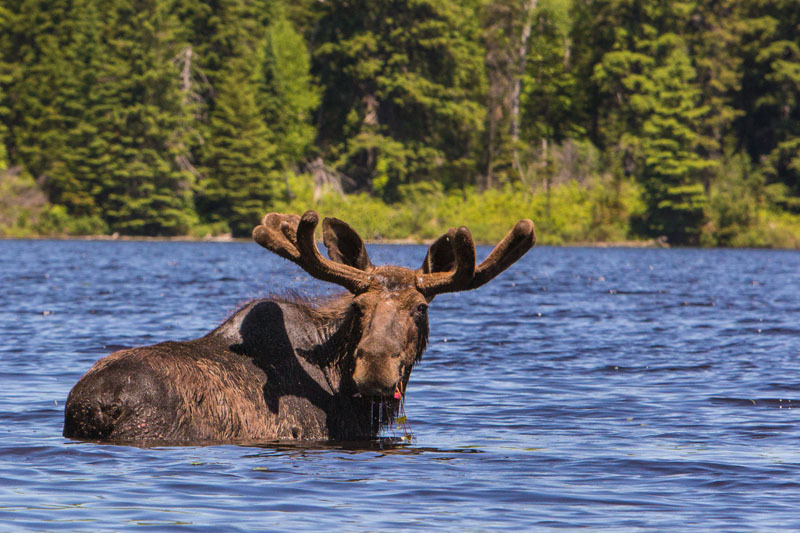 Dave and I have joined acclaimed wildlife photographer Rob Stimpson on his annual moose photography safari to Algonquin Park offered through Voyageur Quest Adventures. He knows where to find moose and takes photo buffs and outdoor enthusiasts to his secret spot somewhere within the Provincial Park. 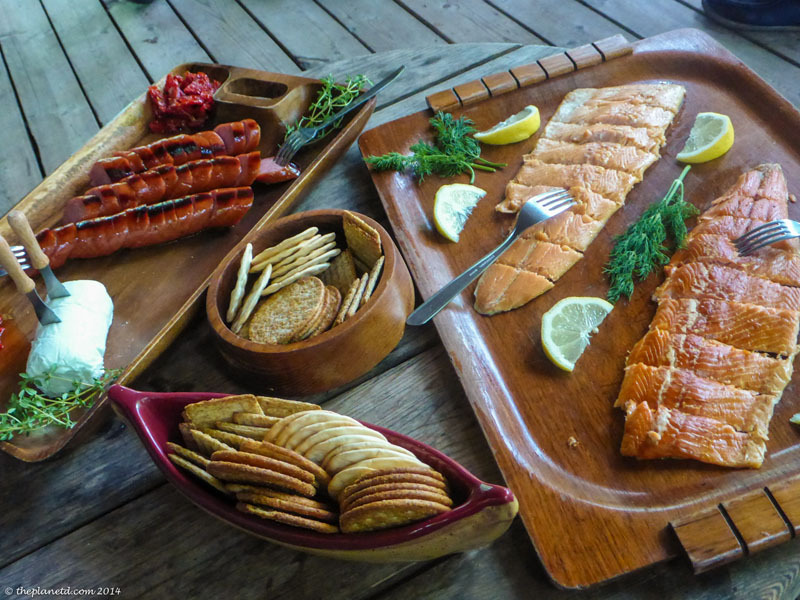 Our trip began at the Voyageur Quest Log Cabin where we met our guides and fellow adventurers. The cabin was built in 1995 and is the classic chalet one would envision when thinking of spending a night in the Canadian wilderness. It’s two stories high, surrounded by trees and situated on a quiet lake. A small fire was blazing from the massive stone fireplace reaching to the top of the loft ceiling and the huge screened in porch filled with Muskoka and other lounge chairs yearned for people to curl up and listen to the birds sing outside. After a quick lunch at the long maple wood table, we set off for an afternoon paddle on the lake to practice silent strokes and moose spotting etiquette. Moose spook easily and when going on a photography safari to capture them in their natural environment, you want to be invisible. 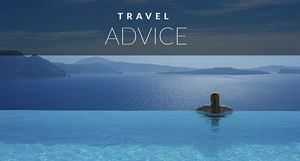 It’s important to paddle without making a splash or sound. We even had to make sure our cameras beeps and notifications were turned off. If we needed any pointers on paddle strokes, today was the day to work on them. It was a pleasant paddle, and before long we were back at the cabin learning about the wildlife of the area. Robin Tapley is a well-known naturalist who has been all around the world speaking about wildlife. We had the pleasure of having him give us a talk on the birds and wildlife that we may encounter in the bush. He’s a walking encyclopedia when it comes to nature, and in the middle of talking or walking, he could call out the names of a dozen birds singing in the woods around us. We learned about moose behaviour, and talked about the types of animals in the area. Algonquin Park is filled with wildlife and we could easily encounter, wolves, foxes, beavers, otters or even bears. Armed with our newly acquired outdoor knowledge, we settled in for a good nights rest. It was an early wake up call as we had a big day ahead of us. 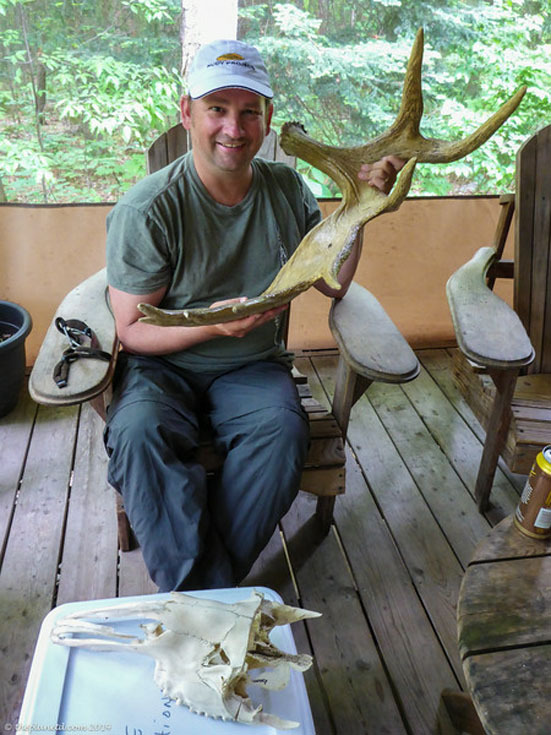 Day two of our moose safari took us to our tent campsite within the borders of Algonquin Park. We had a lot of paddling to do to get there and there were two portages on our route as well. Portages are trails that link two bodies of water together. 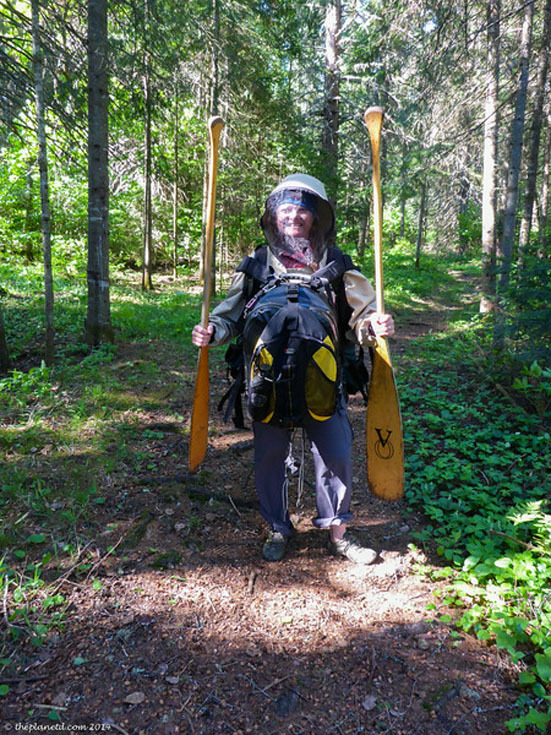 After paddling to the end of one lake, we had to get out of our canoes, grab all our gear and start walking through the woods to get to the next body of water. Dave carried our canoe on his head, and I took our packs and gear. Lucky for us, our portages were only a maximum of 350 metres, but when carrying heavy gear and canoes through uneven trails that can feel like a long walk. Our group had food and cooking gear as well as other essential items, so a couple of trips were needed. 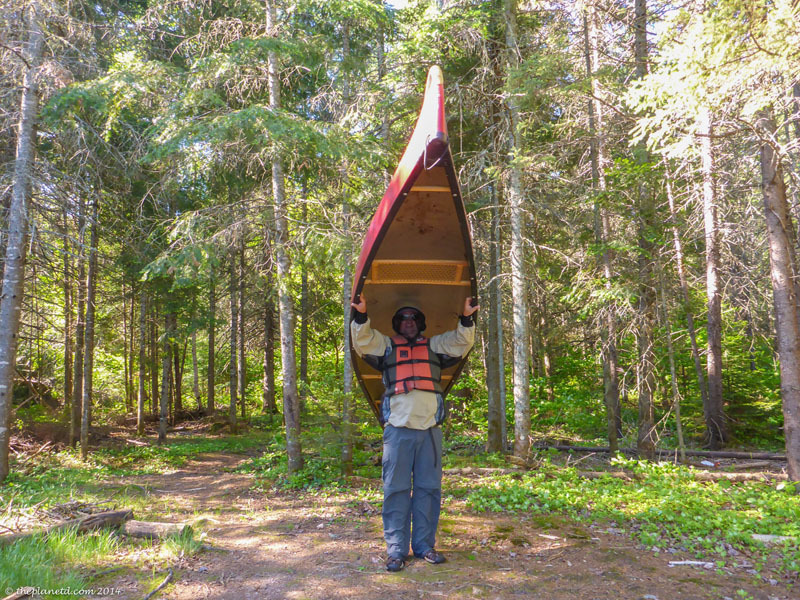 Dave and I have done the longest portage in the park in the past. At 5 km long it's a tough haul, so we were grateful for the short trips we had today. 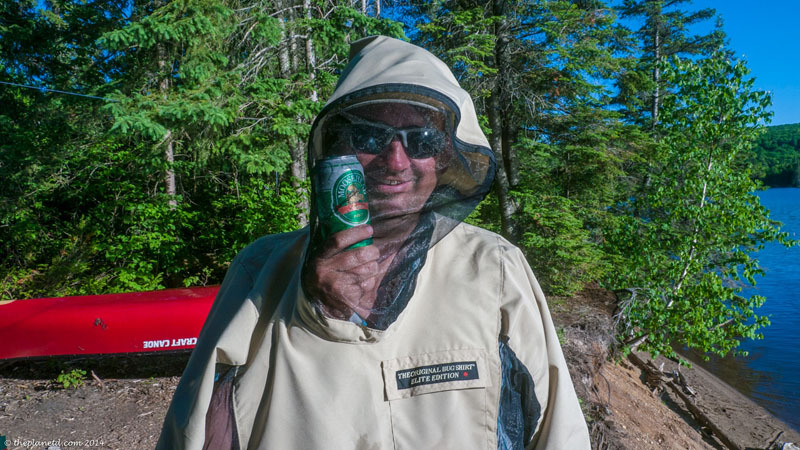 When on the water, we avoided the attacks of the early season black flies, but when on land, they can be brutal. Black flies are tiny creatures, but they pack a punch and a bite from them can cause itchy welts all over your face and neck. We were thankful for our new bug jackets courtesy of the original bug shirt during our portages. We’ve tried other jackets in the past, but these ones are the Cadillac of bug jackets. The canvasback and chest keep bugs from biting through and the mesh face mask and sleeves allow the material to breathe keeping you from overheating. Without them, our portages would have been unbearable. We arrived at camp with our tents already set up and the cooking and common area all cleared and ready to go. It was a short time at camp after arrival and after a quick bite, we hopped in our canoes for the first of our moose encounters. It wasn’t long before we spotted a male moose swimming in the water. We held back as he stayed near the shore, but when we approached closer, he scooted off back to the safety of the woods. Not before we grabbed a few shots though! We saw a few more along the route, but our best encounter happened in a marshy area where Rob had seen eight moose at once on a previous trip. He was sure we’d spy a few here and he was right. We had one magnificent encounter after another. The most notable was when our group split up and my canoe was on one side of him and Dave and Rob were on the other. We left the moose an easy escape route back to the woods or between us through the water. To our pleasant surprise, she decided to swim out between our boats and stand on an island. She scoped out the area before swimming off in the opposite direction. I was amazed at how quickly a moose can move. I've always heard that moose were quick in the water, but this gal was motoring and we got to see it all. We spent another day in search of moose and saw another mother and her calf as well as more males and females hanging out on the banks of the lake. If you paddle silently and stay downwind of them, they won't even notice you and will go on with their regular routine. We were thrilled with our encounters and loved the experience of paddling to see them. Even if you don't spot a moose in Algonquin Park, it is still a wonderful experience. When the waters are still and calm the reflections and beauty is impossible to match. Birds fly through the air, beavers build their dams and chipmunks nestle in the brush. If you sit quietly, you can hear an entire community of wildlife waking up around you. For more information on Moose Safaris and Alquonquin Park tours visit the Voyageur Quest Website. To check out the award winning wildlife photographs of Rob Stimpson visit his photography website. 15 Responses to "In Search of Algonquin Moose – A Canadian Wildlife Safari"
I’ve been living in Vermont for five months now and I have yet to see a moose in the wild. Maybe I should head a few hours north; I bet my chances are higher there. 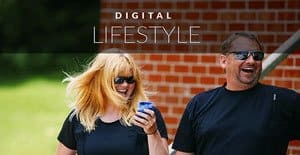 Fantastic post and what a great video! Thanks Bram! Yes, you should come to Algonquin to spot moose. 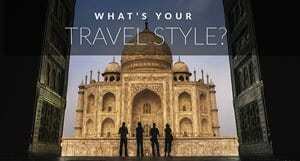 I think it is one of the best chances for seeing them. We’d love to see you here in Canada and thanks for the kind words on the video. we had a lot of fun making it. Looks amazing!! I think even if I saw one in the water, I would still be pretty scared of a moose! They can really do some damage. I love these photos of the moose. I’m about any kind of safari that lets me potentially see animals in their natural habitat. I blame my dad for that with all his years in the Pennsylvania Game Commission and instilling such a curiousness about wildlife in me. Now I just need a bug suit and I’ll be ready…and that bug suit could come in awfully handy just for going in my backyard in Italy! It is a very big moose. I haven’t meet it in real life. I wonder if there is any crocodile in the river. I saw many movies about these animals crossing the river. This post made me so homesick for Ontario. 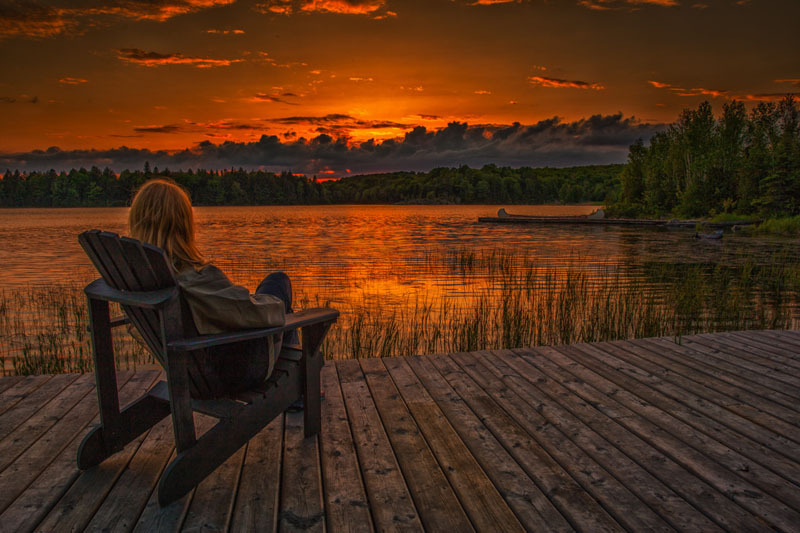 Each summer my wife and I would venture to Algonquin Park with another couple for a long-weekend canoe trip. We would canoe for 8 hours a day through sun, wind and rain. Portaging sucked, but it was always exciting to find out what was ahead on the other side. We would travel through small rivers and large lakes, we even hit some fast rivers to get through. Scary when all of your clothes are packed at your feet (in multiple garbage bags, just in case). One morning we awoke to the sound of gentle thumping. We peered out of the tent to see a lake as still as a sheet of glass. The sun was just rising and the mist sat above the water. It was beautiful, but what stood there sipping away was even better. The moose slowly looked up and stared at us both as we stared back, gobsmacked. I whispered to my American wife, who had recently moved to Canada that she was now a Canadian. Seeing a mouse was a rite of passage she had to experience. I am so happy to read that you did the same. Thanks for sharing your story and the beautiful photos. Those are really cool pictures. I go to University about 2 minutes south of Canada and i’m hoping one day to see a moose. 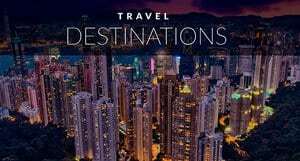 Wow, what an awesome trip! I don’t think I’d ever want to leave that cozy cabin 🙂 Will definitely keep this trip in mind if I ever make it out to Ontario – would love to see 18 moose in two days!! You are so right. I wish I could have stayed there for a week. I’d read all the books, swim in the lake and sleep a lot. It was the perfect place to unwind. No internet, TV and only a bit of solar energy. It was just a quiet comfortable retreat to get lost in. What an incredible experience to see a mother and her calf up-close and in their natural habitat! It was incredible. We saw 18 moose in two days. Pretty special. 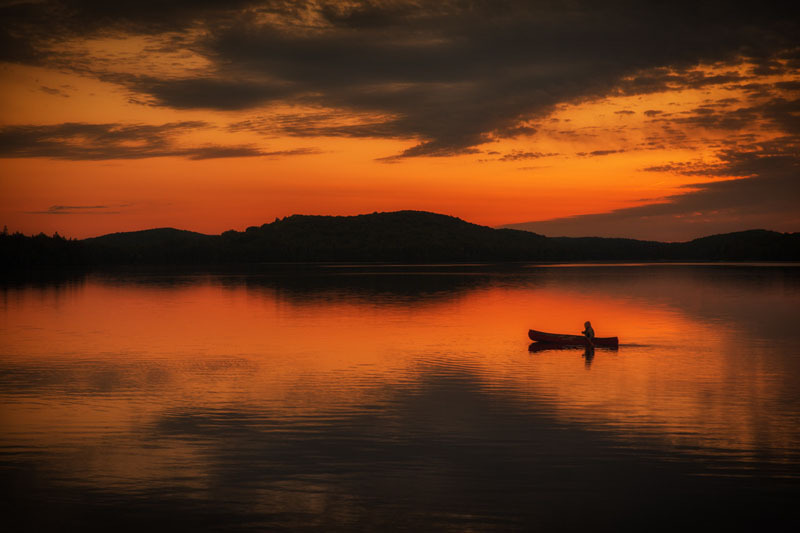 Many people go on a canoe trip to Algonquin and don’t see any. It pays to go with someone who knows where to look.